Primary six pupils took family and friends back in time as they performed the hit show ‘1719’ following a workshop with Scottish Opera. 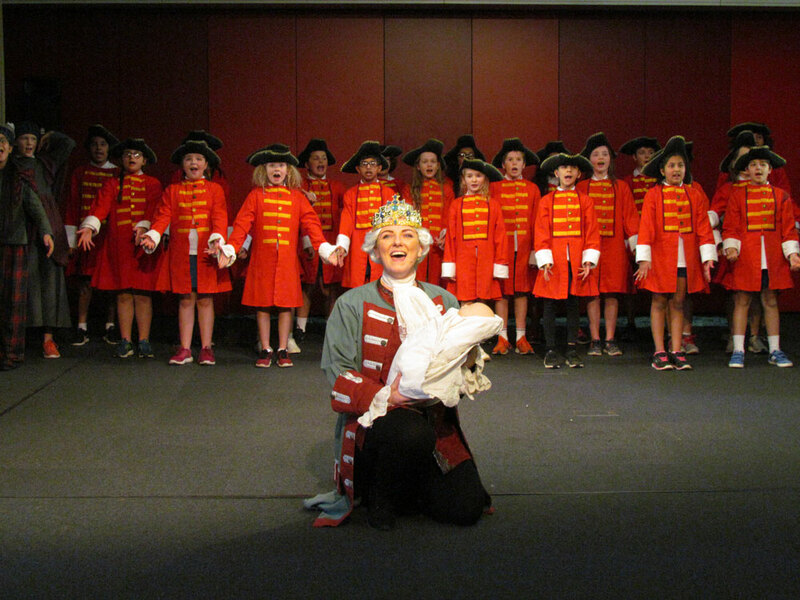 The children have been practising the songs during their music classes and put on the performance in the Drama Studios at Beaton Road, splitting into three groups, acting as the Jacobites, Spanish Allies and Hanoverian troops. The singers and crew from Scottish Opera were very impressed by the behaviour, singing and acting of our pupils and were delighted with the final performance, highlighting the Jacobite risings in Scotland. Thank you to Scottish Opera for providing an excellent experience for the pupils.